Today, most people experience healthcare as a fragmented collection of services which focus strictly on treatment for illness. At Advanced Integrative Medicine, we take a different approach to your health. We see you not as a medical problem to be treated, but as a whole person looking for a healthy life. We firmly believe in the power of complementary therapy for healing and health. Your experience begins the moment you walk in. Our beautiful, warm, caring state-of-the-art facility expresses our overriding philosophy of caring and nurturing. You are not a number. You are a person and you are recognized. From the receptionist, through medical technicians to the skilled physicians, you are recognized by everyone. Your total experience is patient centered. All our staff and providers share this philosophy…a patient centered commitment to your total health care. We begin with full attention, not just to your immediate problem, but to you, as a whole person. We work to to understand your history, including your family history, to take an initial physical exam if appropriate and to understand your current medical issue and overall health expectations. We take the time you need. We work as a team, focused on you. Each provider shares your integrated Electronic Health Record (EHR). This allows each provider to know your full history, your complete profile, and to assist the other providers in maximizing your care. We are working to shatter these myths. We are integrating Western Medicine and Eastern Medicine, sharing information within your total care team. Each practitioner knows their specialty and respects the contributions of the others. 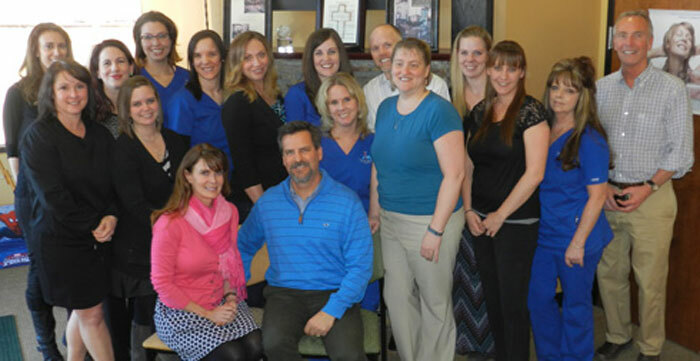 Our team draws from the best of both Western and Eastern medical practices. These include Family Practice, Internal Medicine, Nutrition, Life and Grief Counseling, Chiropractic, Acupuncture, and Massage Therapy. And as a team, your practitioners are focused not only on addressing your immediate, specific problem, but creating a preventive action plan to reduce future medical problems as well. For those patients who want more, we also offer Optimum Access… a concierge style of medicine. AIM is committed to your long term support and education. Discover how we integrate complementary health, complementary healing and complementary therapy for complete wellness.